To better identify its role and to clarify and reiterate its mission, Community Action of Northeast Indiana (CANI), a longtime provider of programs aimed at addressing the causes and conditions of poverty, has changed its name. The change comes in conjunction with the agency’s 50th anniversary in 2015. 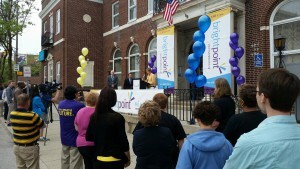 The new name is Brightpoint. 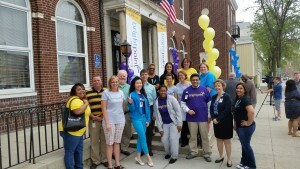 Brightpoint is a private nonprofit organization serving more than 35,000 people across 12 counties in northeast Indiana. It’s one of the largest nonprofit agencies in the area, offering more than 20 programs. Brightpoint does more than treat the symptoms of poverty; Instead, it seeks to transition individuals and families out of poverty and into a brighter future. 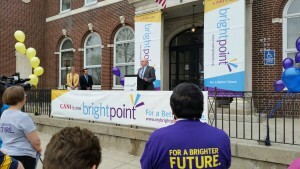 “We’re very excited about the way this new identity reflects our mission and supports our distinctive role within the community,” says Brightpoint President/CEO Steve Hoffman. “We want to be a bright point in the lives of people. More importantly than that, we want to help create a brighter future for the families and individuals we serve. We want to help people to a destination, a point, where people can leave poverty behind forever. Our logo, with the three rays of light pointing upwards, signifies the three areas of our mission: we help communities, families, and individuals. The name change came after it became obvious that many people didn’t understand the organization’s role in the community. Brightpoint is a private, 501 (c) (3) nonprofit organization serving more than 35,000 people across 12 counties in northeast Indiana. Through a wide range of programs, Brightpoint helps communities, families, and individuals remove the causes and conditions of poverty.